Filmmaker Nathan Douglas joins Alexander to testify to the miracle of Jesus of Montreal. Bless this podcast, listeners, by hearing their chat on Denys Arcand's celebrated movie. 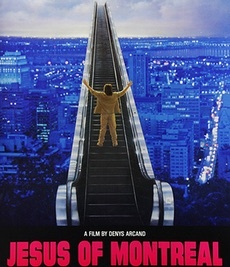 Find out more about this movie on its IMDb page: Jesus of Montreal. Alexander, Chris and William are at the 36th Vancouver International Film Festival, running September 28 to October 13. Here are more mini-reviews: Meditation Park, Keep Talking, Louise Lecavalier in Motion, Shut Up and Say Something and Tattoos. We'll have our post-festival podcast episode for you later. Alexander Cairns, Chris Savory and William Lee are attending the 36th Vancouver International Film Festival. In our mid-festival update we talk about films from Canada and elsewhere: Maison du bonheur, Fail to Appear, The Cresent, In the Fade, Luk'Luk'I, The Party, Shut Up and Say Something, Keep Talking, Eye on Juliet, The Divine Order, Worst Case We Get Married and Happy End. VIFF 2017 runs from September 28 to October 13.